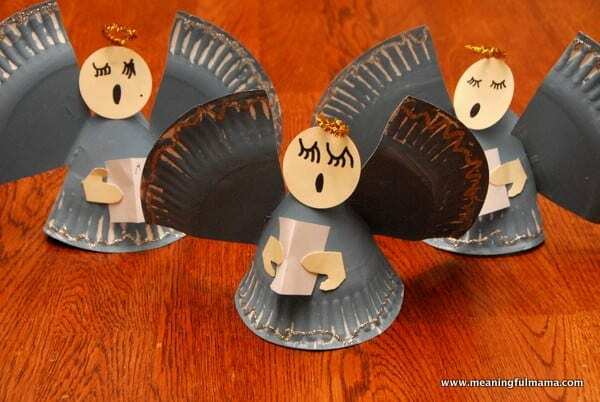 We’ve been into angel crafts using recycled materials this Christmas season. You may have seen the paper towel roll angels or the egg carton angels. 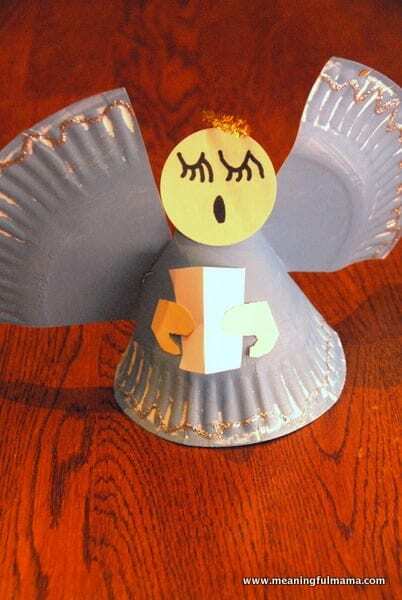 Now, it’s on to the cute paper plate angels. 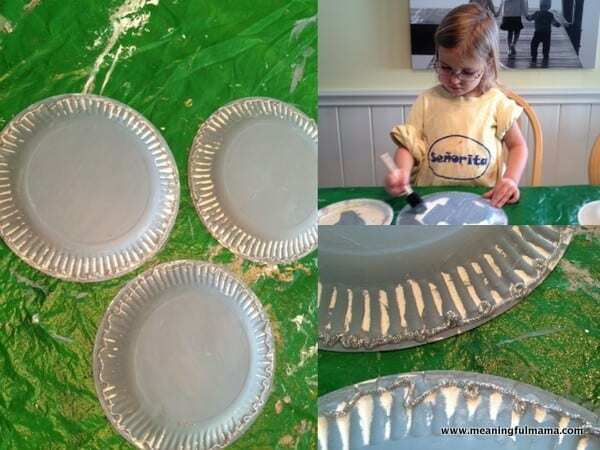 The first step is to paint all of the backs of paper plates. We then put some glitter glue around the edges of the circle. With the glitter glue, it needed to dry all night. 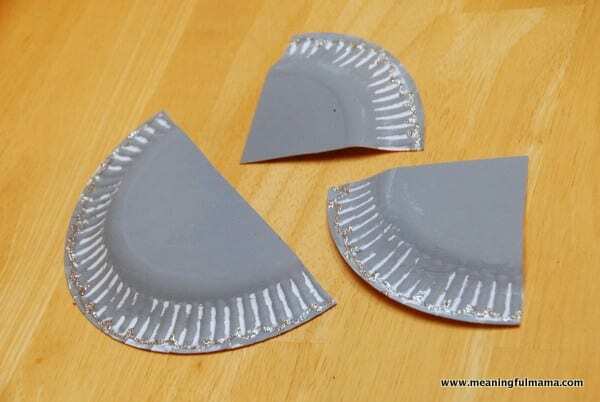 You then cut the paper plate in half and one of the sides in half again. You will want to cut two slits for the wings. 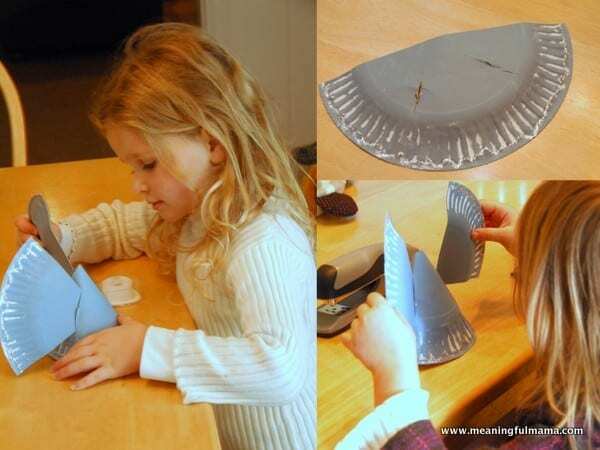 Then, take the 1/2 paper plate and make a cone out of it by stapling, taping or hot gluing it together. Have the kids stick the wings in. We taped the wings in place from the inside. Next, the kids drew angel faces on some circles to stick onto the tip of the cone for the angel face. 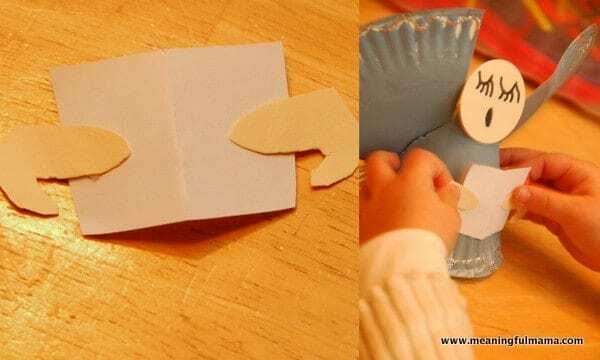 The final step was to cut out some hands and a little folded piece of paper. We used double stick tape to attach it all together, but you can also use glue.